Eight months after BHP Billiton/Vale subsidiary Samarco’s waste dam collapsed in southeastern Brazil, the 1.6 million people living along the Doce River are still struggling not only with health risks, but also with a crisis of public confidence. Brazil’s Environment Ministry has fined Samarco 142 million reais ($41.6 million) for damages to three protected areas. BHP Billiton and Vale are fighting a separate court decision fining Samarco $6 billion. 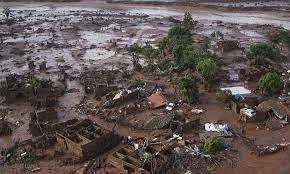 The companies face further costs as the government proposes to toughen supervision of Samarco’s operations and ban the construction of the cheapest sort of mine tailings (fine waste) dams like the ones Samarco has been using at its iron ore mine. The mine is unlikely to resume operations before the end of the year.